The PT S features advanced stairclimbing technology and can handle any challenge. The 130 model is designed for people up to 130 kg while the 160 is for people up to 160 kg. The soft upholstered and ergonomically-shaped seat guarantees a comfortable ride. 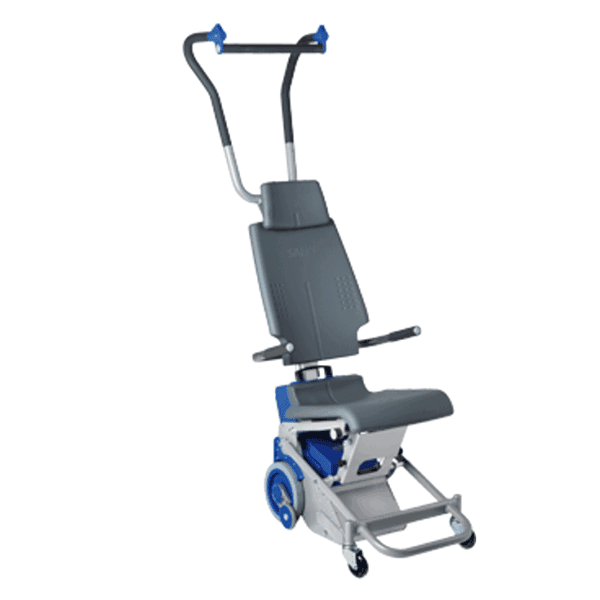 The stairclimber doesn’t start moving down steps until the brake wheels on the lifting mechanism have reached the next step. 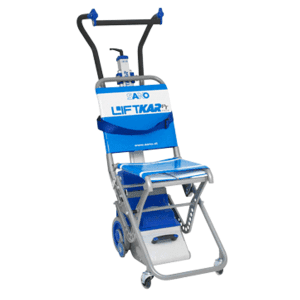 With this level of safety, the LIFTKAR PT can be manoeuvred relaxed and confidently with an upright posture and without straining your back. 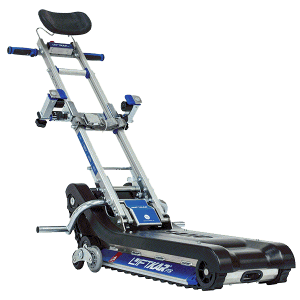 The handle unit is easy to adjust and is equipped with anti-slip material. Use the robust crossbar to support and hold the unit. With UP/DOWN switches on both hand grips, the LIFTKAR PT does not need to be adapted when changing between left- and right-handed operators. *Depends on weight of passenger and whether they are travelling up or down. A quick-change battery pack is recommended for frequent use. In-transit battery charger available as an accessory.